It is same old story, but with a new revelation. India's ancient Yoga System has tons of physiological and psychological benefits. When you are a fitness freak, your eyes could immediately catch all those who are on action. 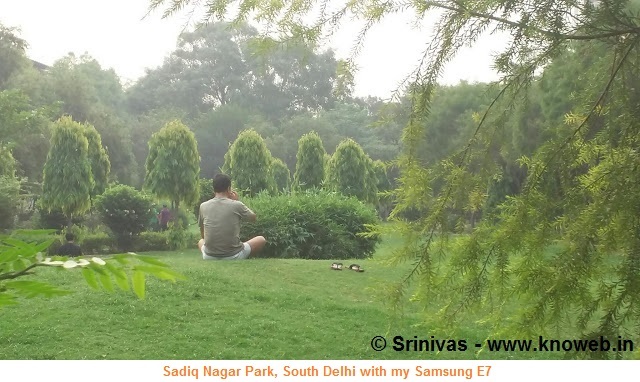 It is a a familiar scene nowadays in my local park - Sadiq Nagar, South Delhi. This middle-aged man with eyes closed is doing silently pranayam, an ancient breathing exercise that would give immense health benefits. The Western world has already realized the importance of yoga and last year United Nations also declared June 21 as International Yoga Day. Prime Minister Narendra Modi himself led the show last year at Raj Path, New Delhi with a massive 35,985 participants that bagged the Guinness World Record. This year, again Prime Minister Modi will participate in the event that is slated on June 21, 2016 at Chandigarh. This event is funded by AYUSH Ministry's grant of Rs.8 crores. News reports suggest that special care is being taken to ensure that the 30,00 yoga mats are 'Made in India' and not 'Made in China', as was the case last year (source: http://www.dailyo.in/ ). Now, listen my own personal story of yoga. Around three years ago, I was totally crippled with backache that forced me to bring some immediate lifestyle changes. One such lifestyle change that I brought was, adding five minutes yoga slot to save my spine. After that, backache never visited me again till today. Elated with the result, I swung into action to encourage youngsters by uploading my 5 minutes yoga video on youtube which was later shared in this blog.